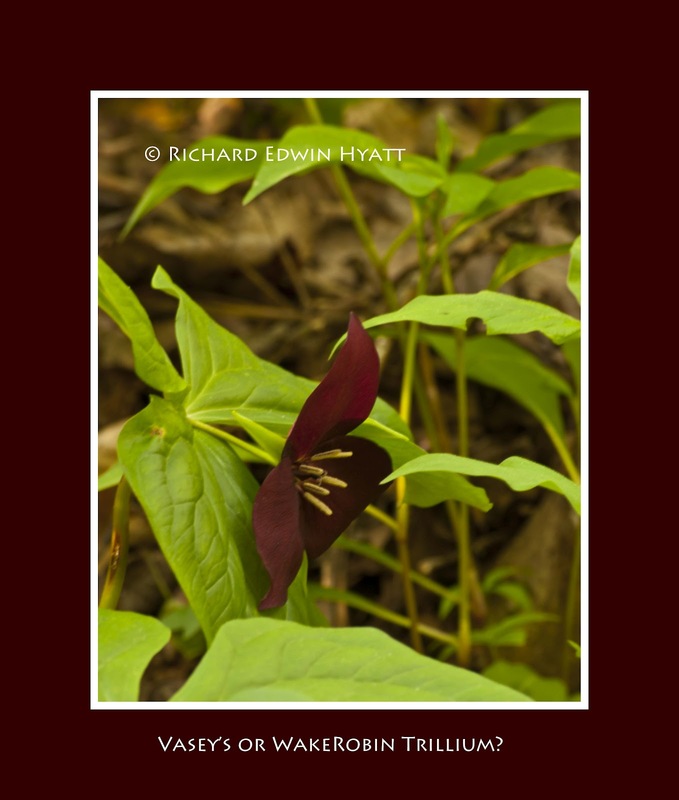 Just to show how difficult identification of different trilliums can be I am posting a question. Is this a Vasey's TrilliumTrillium vaseyi or a Purple Wakerobin? 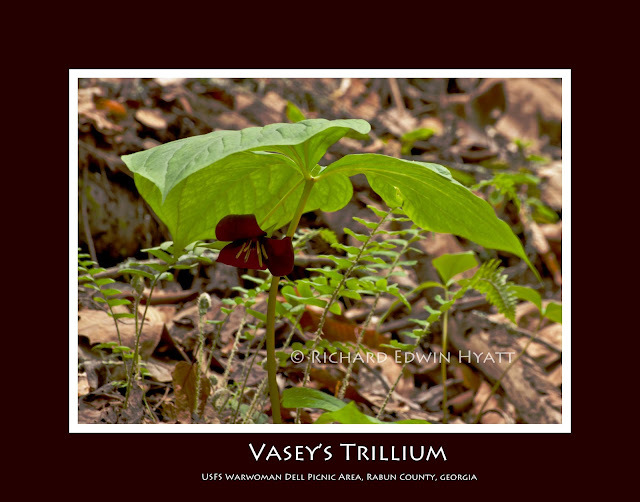 Vasey's is a nodding trillium that blooms below the tri-leaf of the trillium. The Purple Wakerobin (Trillium erectum?) blooms above these leaves. To make matters worse there is more than one species of Purple Wakerobin.